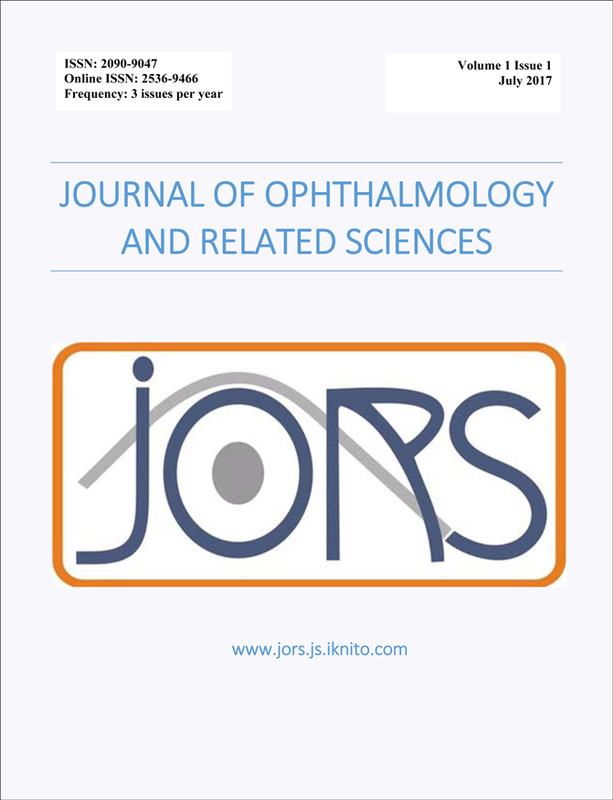 Journal of Ophthalmology and Related Sciences (JORS) is a peer-reviewed, open access journal issued three times per year. JORS targets nation-wide, regional and international ophthalmologists to provide access for updated knowledge in Ophthalmology and related basic and clinical sciences. Evaluation criteria are based on originality, quality, the novelty of the research and its contribution to advancing ophthalmic science. We acknowledge Dr. Mohamed Hussein, M.Sc.-Research Institute of Ophthalmology for his unflagging efforts in editing this issue.